Eliminate accounting headaches with two-way bidding, direct offers, and secure payments for campaign expenses. IZEAx simplifies campaign budgets by keeping track of all Creator payments in one place. Funds are held in escrow until content is fully verified. 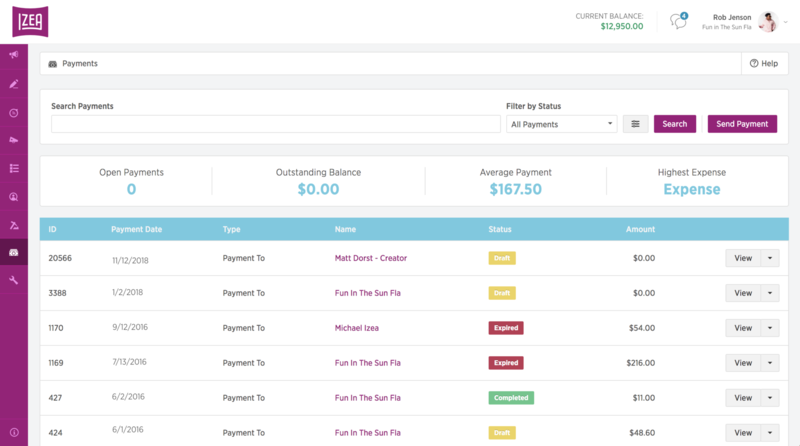 Track every creator payment in-platform and automate tax compliance. Electronically distribute funds to creators via PayPal with the click of a button. Eliminate the risk of fraud with campaign payments held in escrow. All content is reviewed and verified before creators are paid. 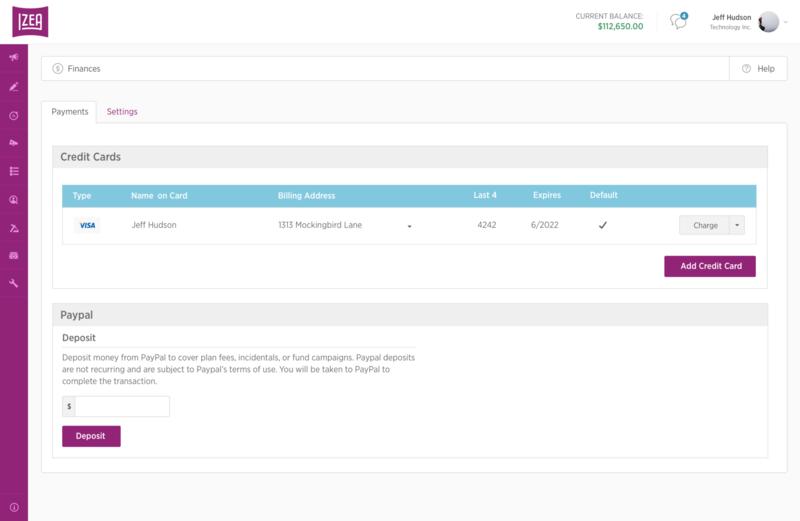 Manage campaign expenses and send payments to Creators for items not included in content pricing. All payments are verified and electronically distributed for easy tracking. Send and approve payment requests for campaign-related expenses not covered in content compensation. Delineate separate expenses on the same payment for optimized organization. Easily search and find previous payments.